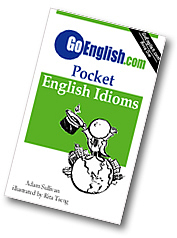 Today's Idiom = "A Place To Call Your Own"
"A Place To Call Your Own"
When a man owns a place, he has a place to call his own. Example: "After renting for all these years, I really want a place to call my own." When the owner of a home or business is a woman, she has a place to call her own. Example: "Wouldn't you like a place to call your own?"